“Our district and the business community have a lot at stake, and it’s no joke.” -Ashlea Graves, who directs governmental relations with HISD. 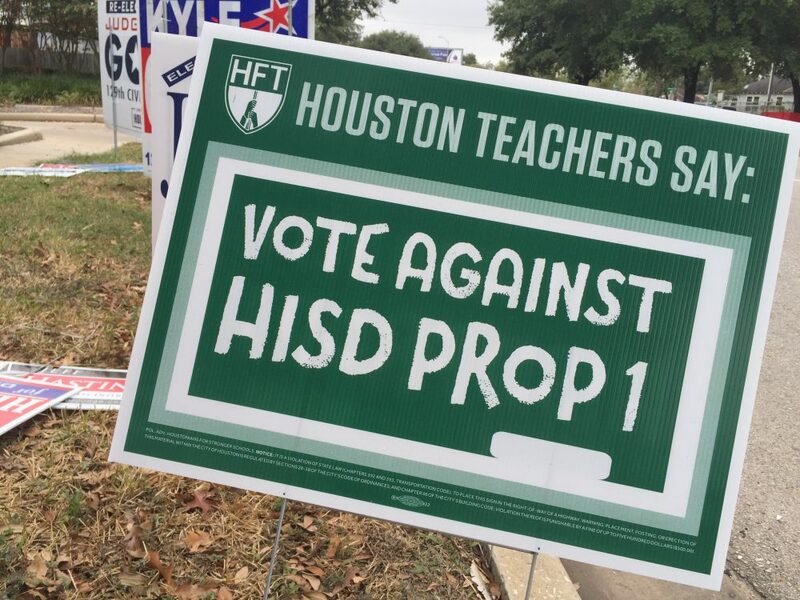 There was a strong campaign against Proposition 1 in HISD, against sending tax dollars from the district to the state, under the so-called “Robin Hood” program. Because Proposition 1 failed, HISD faces losing commercial property to pay off its debt to the state. 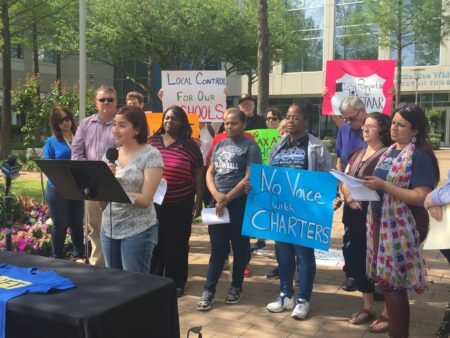 In the next legislative session, the Houston Independent School District will wage a political battle worth at least $18 billion. But this fall, voters rejected the most common way to pay that. 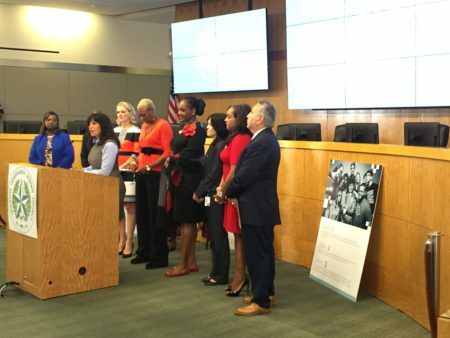 “We have set ourselves apart with our stance and our city’s vote on recapture, and we have a heavy load to carry this session,” HISD Trustee Anna Eastman said at the board’s meeting in December. That’s because if lawmakers don’t change school finance, Texas will take $18 billion worth of commercial, non-residential property away from HISD to pay off the bill. The education commissioner will let another property-poor school district tax it instead. 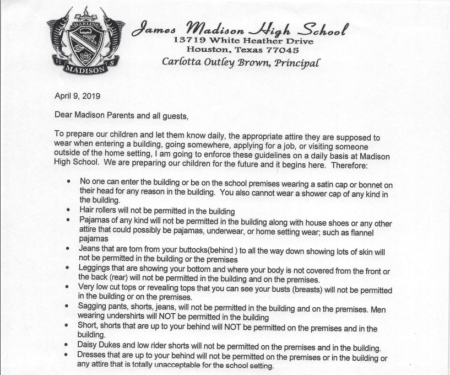 “Our district and the business community have a lot at stake, and it’s no joke,” said Ashlea Graves, who directs governmental relations with HISD. A local homestead exemption: She said that school districts like HISD could get some credit in the finance formula for property that they don’t tax under the homestead exemption. This could save HISD about $60 million in recapture money. Restore transportation money: HISD loses the state’s transportation funding just like every other property-wealthy district that pays into recapture. For HISD, it’s worth $12 million. Count kids in full-day pre-kindergarten: Currently when Texas calculates the recapture bill, it doesn’t count these students as full-day. 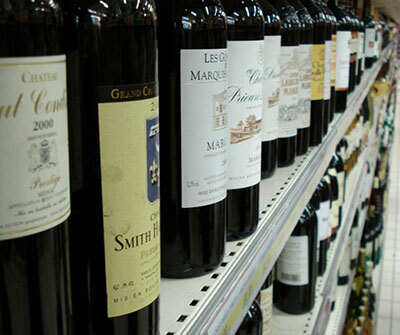 Graves said that this would reduce the bill by about $39 million. If passed, these strategies would reduce HISD’s debt by about a $100 million. But they won’t erase it entirely. “The biggest overarching problem with this is that the state needs to reduce its over-reliance on local property taxes and replace some of that money with its own general revenue,” Graves said.